Although federal law does not require employers to provide leave, either paid or unpaid, to make it easier for employees time to vote during their work day, the majority of the states have laws addressing some type of voting leave. Legislation in states that require employers to grant voting leave follows a pattern, granting. employees anywhere from one to three hours to vote during the work day unless there is sufficient time before or after an employee’s shift in which to vote. The amount of time deemed sufficient in which to vote varies from state to state. For example, in New York, employees are not entitled to any leave if they have four consecutive nonworking hours during which to vote either between the opening of the polls and beginning work or finishing work and the close of the polls. Otherwise, employees are entitled to two hours of paid leave. Any additional time is unpaid. In Arizona, if the employee begins or ends his or her shift less than three hours after the polls open or before they close, he or she may be absent at the beginning or end of the shift for up to three hours, with pay, in order to vote. Wyoming, Wisconsin, and Utah are some of the states with similar provisions. In all of these states, the employee must apply for leave or notify the employer in advance of election day. In some states that provide for paid leave to vote, employers have the right to designate the time when the employee can leave to go to the polls. For instance, in Oklahoma, employees must notify their employers by the day before the election, must vote at the time set by the employer, and must return with proof that they have voted in order to receive pay for their time away from work. If the polls are open for at least three hours before or after the employee’s shift, there is no entitlement to leave. Ohio simply forbids employers from firing employees who take a reasonable time to vote, and provides that salaried employees should receive paid time off. Other states also provide for a “reasonable” amount of time to vote, but the leave is paid in some states and unpaid in others. Similarly, Minnesota allows employees to take time off to vote as long as they return from the polls immediately, and they cannot be required to use vacation or personal time. North Dakota law encourages employers to allow their employees to leave work to vote when their schedule conflicts with the times polls are open, but it is entirely voluntary. In many states, it is entirely within the employer’s discretion to grant voting leave and whether to pay their employees for the time. This is the case in such jurisdictions as Connecticut, Delaware, Florida, Idaho, Indiana, Louisiana, Maine, New Hampshire, New Jersey, North Carolina, North Dakota, Oregon, Rhode Island, South Carolina, Virginia, Vermont, Michigan, Montana, Pennsylvania, and the District of Columbia. However, employers should look at local voting ordinances to ensure they are in compliance with any other voting leave laws on the books. In some places where employers are not required to grant voting leave, the state does provide the opportunity for early voting, which may allow workers the time they need in which to vote. Massachusetts specifies that workers in the mechanical, manufacturing, or mercantile businesses may be allowed time off during the first two hours after the polls open if they have submitted an application for absence. This leave need not be paid. Workers in other industries are not entitled to such leave. In the private sector, more than 300 companies are participating in the national, bipartisan Time to Vote campaign, whose purpose is to increase voter turnout by encouraging employers to provide their employees with the opportunity to vote on election day. The campaign is led by the CEOs of participating companies who, in a Sept. 24 press release, decried the low rate of voter turnout in the United States and cited an effort to “increase awareness about the steps employers can take to allow time for their employees to vote” as one of the factors that spurred them into action. KaiserPermanente, LeviStrauss & Co., Patagonia, PayPal, Tyson Foods, and Walmart are listed as some of the companies among the coalition that began the Time to Vote campaign. Uber and Lyft are offering free rides to the polls. Some of the Time to Vote companies, like Cava and Levi Strauss, are offering paid time off, while some big retailers, like Patagonia, are closing all of their stores on election day. A full list of the participants in Time to Vote can be found at http://www.maketimetovote.org/participants. Political organizations and advocacy groups are pushing for even more reform, encouraging those states without voting leave policies to revisit their legislation and provide workers with the opportunity to participate in the political process. The Time Off to Vote Act, which would grant all U.S. workers two hours of paid leave to vote in all federal elections, was introduced in Congress by Rep. Matt Cartwright (D-Pa.) on June 23, 2017 and referred to the House Committee on Education and the Workforce. Although the proposed statute would only apply to federal elections, it would be a step towards the kind of universal leave that voting rights advocates have in mind. 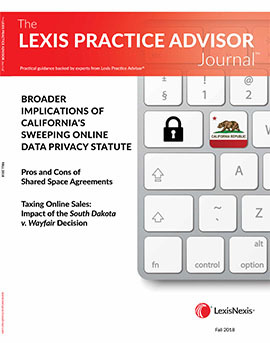 Lexis Practice Advisor subscribers may access a survey summarizing state voting leave laws by following this link. This survey notes which states do not have such laws. While federal law does not require employers to provide voting leave, many states allow employees to take time off from work to vote in federal, state and local elections.